The art school I attended, the Academy of Art University, was an extremely practical and business-oriented school. However, one thing my professors never mentioned, but I've found to be very important, is keeping track of your time. 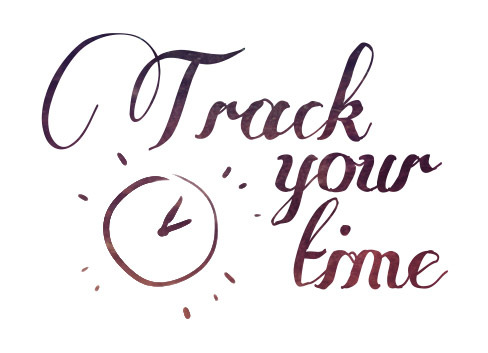 I keep track of how much time I spend on each of my commissions by using a site called Toggl. (Not a sponsor. I like Toggl because of their simple and clean interface.) I write down the total time spent on each piece in a spreadsheet, along with how much I was paid. I categorize entries by type, for example "spot illustration," "double page spread," "book cover," etc. That way, I have a general idea of how much time it takes me to complete a certain type of illustration. I know. This seems so obvious, almost not worth it's own blog post. I never hear artists talking about tracking time, but it's so helpful! Thanks to my spreadsheet, when a potential client offers me a job, I can estimate how many hours it would take to complete that job. That gives me a foundation from which to judge the budget they are proposing. Anyway, what I'm saying is: keeping track of your time is an easy way to start gathering useful information that can inform your business decisions. Just use Toggl or some other time-tracking app. You don't have to only keep track of commissioned work - personal work counts too. The point is to learn how long it takes you to complete a drawing. This Is an excellent point. If you know how much time you are spending on things, it takes at least a bit of the agony out of quoting (or is it just me that freaks out whenever they are asked to quote?) I never got on too well with time-tracking apps, so I have always used my Mac calendar and documented how I spent all my time throughout the day. I colour-code green for work, blue for everything else (and red for birthdays, so I can see 'em coming) and label all my work time with my invoice code for the job. That way, when I'm finished I just type the code into the calendar's search, and count up my hours. And from day to day I can see, at a glance, if I have been working hard enough, just by how much green is on there. You are a star! I've been looking for a way to track my hours spent on freelance work but I'm picky. I'd never heard of Toggl but I LOVE how clean and easy to use it is. I think it's exactly what I've been looking for.